Aston Villa have their fair share of headlines in Monday's papers. The Guardian says former Lyon boss Remi Garde is the front-runner to succeed Tim Sherwood at Villa, after the 46-year-old's dismissal on Sunday. But according to the Daily Express, Villa are also keen to interview Real Sociedad manager David Moyes, 52. They also report that Sherwood could be in line to take charge of Swindon Town. Meanwhile, The Mirror claims Sherwood is set to collect around £2m in compensation after his sacking following the home defeat by Swansea. For more on this and other breaking sports news, visit Sportsday. Did Sherwood deserve the sack? 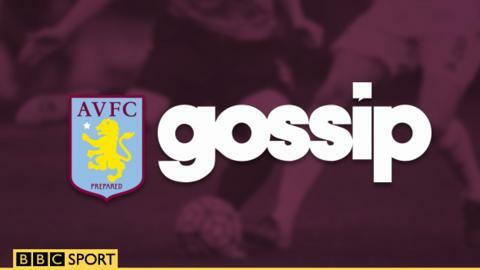 Read more on Tim Sherwood: Was Aston Villa sacking deserved?